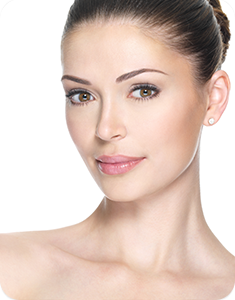 Rhinoplasty - Atlanta, GA | Joseph Woods M.D. Plastic surgery of the nose is probably the most artistic endeavor of all the operations within the realm of cosmetic surgery. A fraction of an inch here or there can make a noticeable difference in the final result. The plastic surgeon carefully and meticulously manipulates the bones, cartilage and skin envelope to create a natural and beautiful result. Most of our patients who have come into the office for nasal surgery over the past 20 years have felt like their nose just does not fit their face. They have been frustrated by an overly wide or crooked nasal bone, an unsightly hump on the ridge of the nose, or a bulbous or enlarged tip which distracts from a harmonious appearance of their face as a whole. Whatever is concerning to you when you look in a mirror, or see in a recent photo, it is worthwhile to ask an experienced plastic surgeon like Dr. Woods to learn if there is a straightforward way to alter your given nasal shape into something which blends more naturally with the rest of your facial features. Additionally, an injury to your nose earlier in life may have left you with difficulty breathing or a severe distortion of your appearance. Cosmetic nasal techniques can be easily adapted to correct the traumatized nose, and restore your original appearance. Rhinoplasty surgery has the advantage of using very small incisions either hidden within the nostril, or within the skin bridge between the two nostrils. Procedures take 1 – 3 hours in the operating room, depending on how much needs to be altered. As noted above, we have the ability to alter the upper portion of the nose by reshaping the bones, the middle section of the nose by altering the cartilage of the septum or superficial cartilage, and the rounded tip of the nose by sculpting the tip cartilages which gives the tip its shape and projection. Almost all nasal surgery patients go home the same day of surgery. It is critical that the patient rests and keeps the head elevated above the heart for the first 2-3 days after the operation. Crushed ice packs are helpful for the first 24 hrs . We recommend no strenuous exertion for one full week. You may drive in 1-2 days. You will look somewhat bruised and/or swollen for 1 –2 weeks depending on the degree of surgical manipulation you require (re-breaking crooked bones would fall into the 2 week recovery, while simply filing down a hump on the ridge of you nose would require just one week of visible swelling). A complete rhinoplasty to include bony work, as well as mid-nose and tip cartilage sculpting may also take 3 – 4 months for ALL remnants of swelling to resolve, even though you will look “normal” within two weeks. Sitting down with Dr. Woods to review your concerns with your nose in the comfortable setting of the consultation room is the best way to start a conversation of cosmetic nasal surgery.